A hand-tied arrangement of the freshest blooms and foliage from the Chelsea Flower Market. Snapdragons, lilies and red roses wrapped in raffia in the French style. This arrangement is cut to fit in our cylinder glass vase (included with your order free of charge). When it comes to those you love most in your life, nothing is more important than expressing your affection at the right times and offering small tokens of appreciation to show how much they mean. Whether your aim is romance, friendship or family love on an anniversary, birthday, special occasion or just because, you're looking for a unique gift with both chic style and heartfelt emotion. What could be more appropriate than flowers? 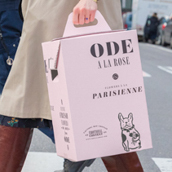 Specializing in unique, handcrafted arrangements with a modern French flair, Ode à la ROSE is your sophisticated source for the most beautiful bouquets. Hoping for an arrangement that expresses elegant romance, mature style and a playful touch? Arranged with the freshest blooms and foliage from the Chelsea Flower Market, our Red Market Bouquet is just what you need to show your adoration with unique joie de vivre. 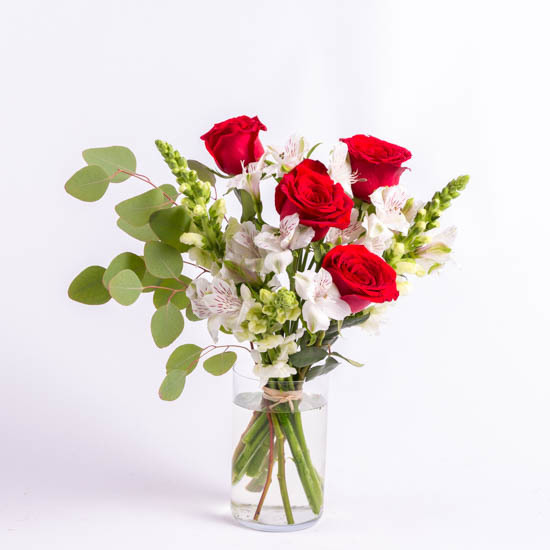 Artfully crafted with snapdragons, lilies and red roses wrapped in raffia in the French style, this arrangement is cut to fit in our cylinder glass vase (included with your order free of charge). 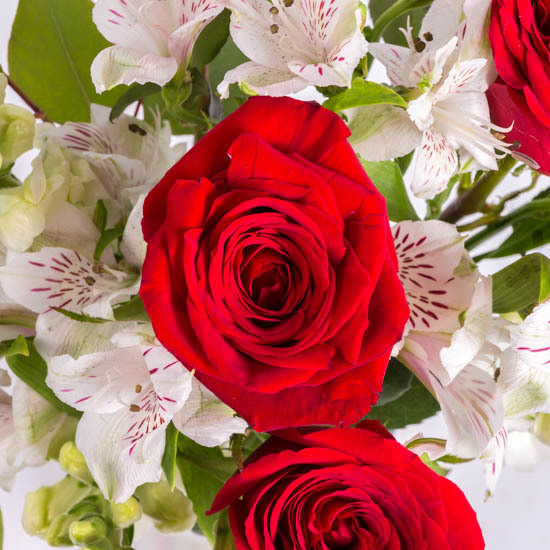 Relish Romantic Hues Combining ravishing red roses, lovely white lilies and snapdragons, fresh green foliage and eucalyptus, our Red Market Bouquet offers a romantic pallet of blooms arranged tastefully for a look that's both modern and classic. 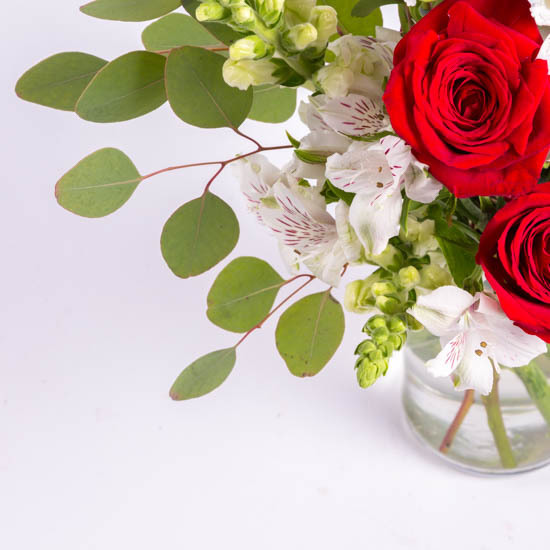 Send a Keepsake Bouquet Most bouquets are delivered dry and require preparation to display at home, but our arrangement arrives in water, already arranged in an elegant glass vase and ready to grace your recipient's tabletop, windowsill or desk with a reminder of your love. Charm Them With Ode à la ROSE Offering high-end, handcrafted bouquets sourced from the freshest flower farms and arranged by the most skilled floral designers in the French style, Ode à la ROSE specializes in unique style and chic beauty. Charm your loved ones with our Red Market Bouquet today.